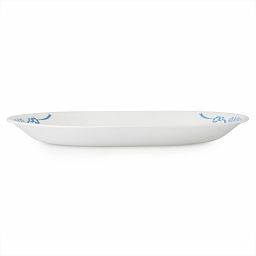 Sculpted swirls bring classic beauty to this pure-white serving dish. Our classic oval platter is sculpted with fluting that swirls around the rim, catching the light and lending understated elegance to the table. 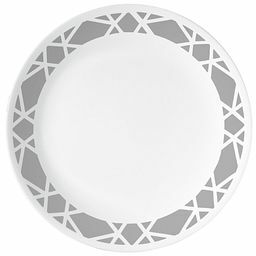 In pure white, it gives the spotlight to your culinary creations and pairs beautifully with dinnerware in any color or pattern. Read these instructions carefully before use. For full Safety and Use Click Here. 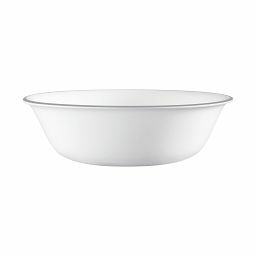 Corelle® plates and bowls are made of Vitrelle® glass. Mugs are made of porcelain or stoneware as noted on the package. Please review information on bottom of items prior to use. 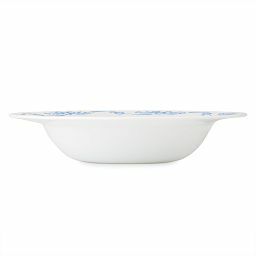 Corelle® products can be used for serving and re-heating food in microwaves or pre-heated conventional ovens up to 350° F (176° C). 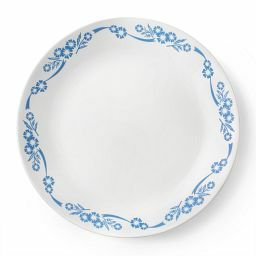 To warm empty dinnerware for serving, use pre-heated conventional ovens only. 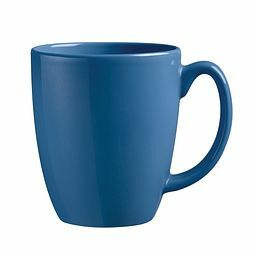 Porcelain and stoneware mugs are microwavable. ALL GLASS, PORCELAIN AND STONEWARE CAN BE BROKEN and care should be taken in handling. A drop or knock against a hard object may cause immediate breakage or enough damage so that the item breaks later for no apparent reason. Such breakage may make a noise and can break into many small pieces. Be careful in handling as pieces may be sharp. 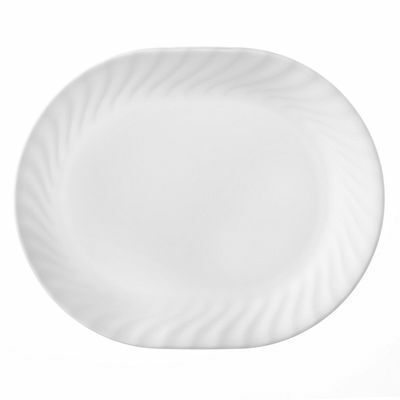 Wash Corelle® dinnerware items by hand or in an automatic dishwasher. 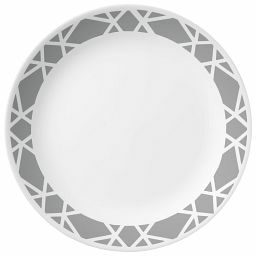 Load items to avoid bumping against other items during cycle. To remove gray or rust marks, clean with non-abrasive cleanser. If scouring is necessary, use only plastic or nylon cleaning pads with non-abrasive cleansers. 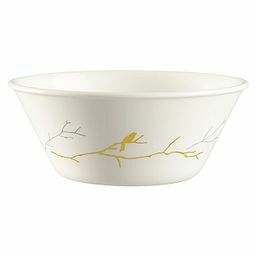 DO NOT allow stoneware or porcelain mugs to soak/stand in water for an extended period of time. Applied heat after soaking may cause glaze cracking. Failure to follow the warnings below may cause an item to break or shatter immediately or late, resulting in personal injury or property damage. 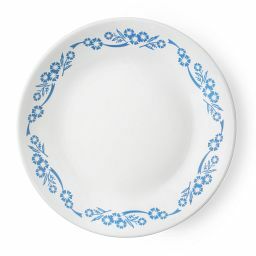 Corelle® glass dinnerware is intended for normal household use only. It is not intended for camping, industrial, or commercial use. DO NOT USE ON STOVETOP, under a broiler/griller, under a microwave browning element, in a toaster oven, or on or near any other direct heating source such as range heat vents, pilot lights, open flames, etc. AVOID SUDDEN TEMPERATURE CHANGES. DO NOT add liquid to a hot item, place a hot item on a wet surface, or handle with a wet or cold cloth. These sudden temperature changes may cause the item to break or shatter. Handle hot items with a dry cloth or potholder. DO NOT use to microwave popcorn or to hold or support popcorn bags, microwave convenience foods with special browning wrappers, etc. Some convenience food packaging is designed to heat rapidly in a microwave oven and may cause breakage. DO NOT heat an empty vessel in a microwave oven. It may become too hot to handle, crack or break. DO NOT heat a small amount of food in larger dish in a microwave oven. It may become too hot to handle, crack or break. DO NOT overheat oil or butter in microwave. Use minimum amount of cooking time. DO NOT use or repair any item that is chipped, cracked, or severely scratched. Damaged items may break or shatter without warning. DO NOT abuse by dropping or hitting against a hard object. DO NOT use abrasive cleanser, scouring pads, or any object that will scratch items. 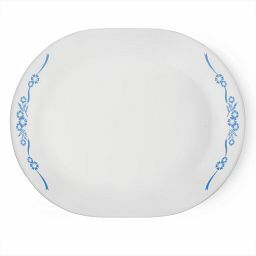 Place stoneware items on dry placemat or tablecloth to avoid scratching surfaces. 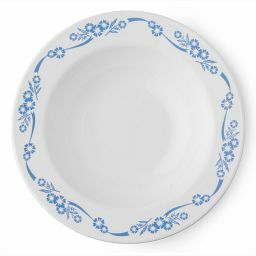 The bottom of stoneware items may be rough. DISCONTINUE USE SHOULD ANY ITEM BE MISUSED IN ANY MANNER AS STATED ABOVE, AS DAMAGED ITEMS MAY BREAK WITHOUT WARNING. 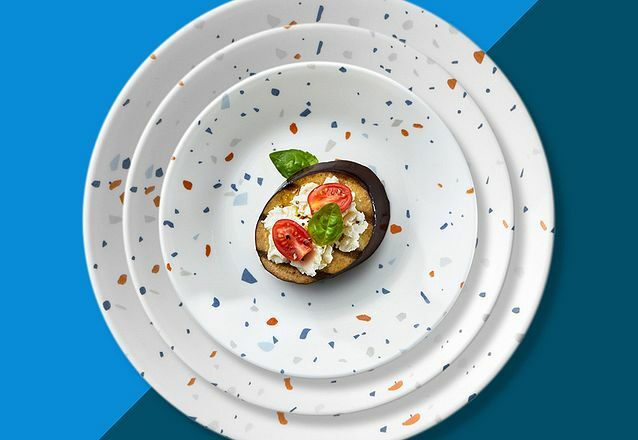 Corelle Brands LLC will replace any item of Corelle® Vitrelle® glass dinnerware that should crack, break or chip within THREE YEARS from date of purchase. PORCELAIN AND STONEWARE MUGS ARE NOT INCLUDED. If the exact item is not available, it will be replaced with a comparable item. This warranty only applies to products damaged during normal household use. It does not cover damage resulting from misuse, negligence, accidental breakage or attempted repair. KEEP THE PRODUCT, as you may be asked to return it. Incidental and consequential damages are expressly excluded from this warranty. Some jurisdictions do not allow this exclusion or limitation, so the above may not apply to you. This warranty gives you specific legal rights. You also may have other rights, which vary.